Java Tea plant, Orthosiphon stamineus, is also known as Kumis Kutjing and Cat Whisker. A tea made from the leaves helps to maintain normal kidney function as well as being a remedy for kidney stones and urinary tract infection. 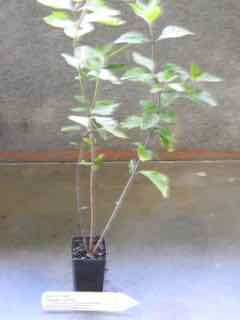 Java Tea plant is native to SE Asia and Northern Australia and prefers well drained soils in an open, sunny position. Beautiful white flowers form spring to summer. Drought resistant but frost tender. A perennial plant growing to 1m x 1m. Be the first to review “Java Tea, plant” Click here to cancel reply.